Just as the fall season of soccer wrapped up, Reagan was approached to play indoors over the winter. We fielded a team of girls but there were not enough other girl teams to play so we were going to bail. But then they decided to play in the boys league! 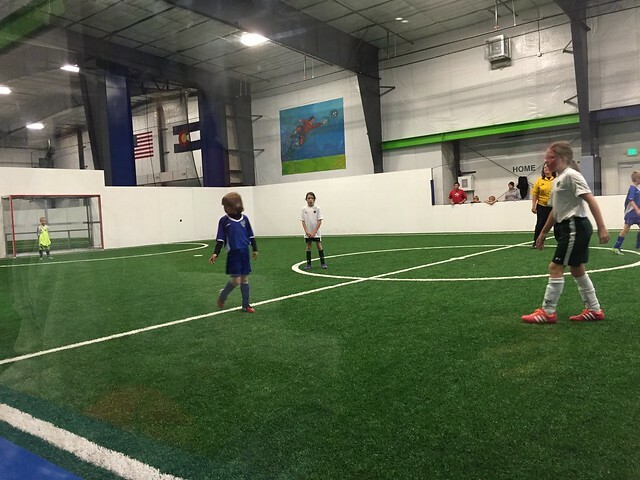 So we have been playing in Boulder on Saturdays in the boy’s Futsal league. Its like soccer with some variants to the rules. Its super fast paced and on a small field. Its really fun to watch. A few more games to go but its been another fun experience! I can’t seem to get a decent picture of them running around through the glass walls. So there you go.